Go to http://www.godaddy.com, sign in and click on Manage on the Domain row. On the top of the screen, click on DNS and then select Manage Zones. Find the domain for which you want to update the DNS records. Type the domain in the Search box and click it. You'll then be taken to the DNS records for that domain. If you already have an @ A record for the domain, click the pencil icon on the right of the entry and change the Value to 54.247.91.90, then click the green tick. If you don't already have an @ A record for the domain, click Add at the bottom right of the page, select A from the Type drop-down, enter @ in the Host field, and enter 54.247.91.90 in the Value field, then click Save. If you already have a www CNAME record for the domain, click the entry and change the Value to yourwebsite.client.bypronto.com. 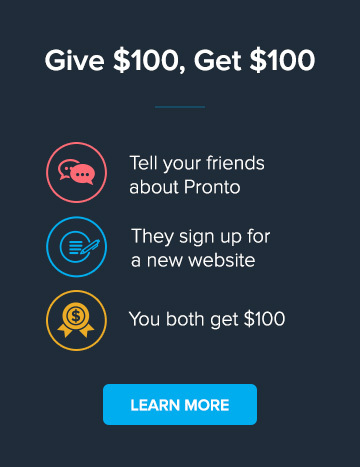 If you don't already have a www CNAME record for the domain, click Add at the bottom right of the page, select CNAME from the Type drop-down, enter www in the Host field, and enter yourwebsite.client.bypronto.com in the Value field, then click Save. Ensure you don't have any other @ or www entries for this domain, or entries with your domain in the Value column, or you will create a DNS conflict after updating the record.